You can warm someone during the cold days of winter by donating a coat that you no longer use. 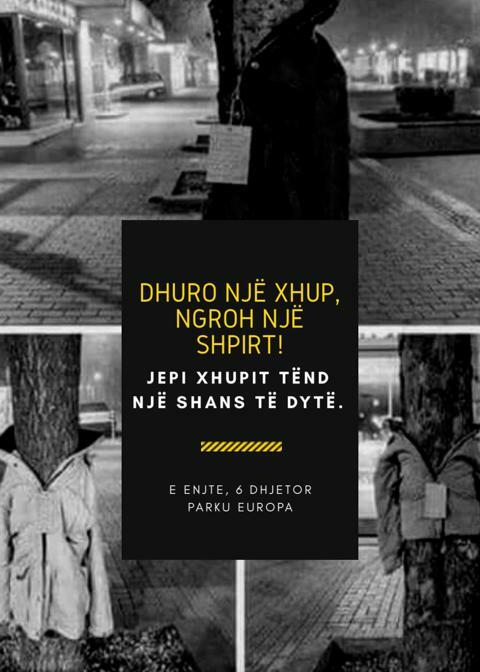 Join the winter coat donation event on Thursday, December 6 at Europa Park, Skanderbeg Square at 13:00 – 15:00 hours. The purpose of this initiative is to trigger the generosity of Tirana’s people in order to keep warm the most vulnerable residents of the city. There are numerous unsheltered and homeless people of all ages in Tirana. Being homeless in winter time is one of the biggest challenges for the people that struggle to find a place where to stay the night. Now it’s time to mobilize your friends and coworkers to start a coat collection. It is an act of warmth and it also has an environmental impact. Invite others to join Here. Simple deeds yield a massive impact!